BSD and AEC Daily both work with some of the industry’s leading manufacturers - and share the common goal of helping design professionals improve their ability to specify products correctly. 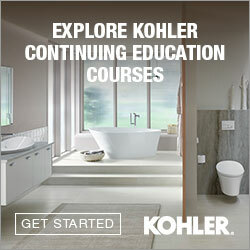 Kohler Co.'s products are included in BSD SpecLink-E. Construction industry professionals who earn continuing education credits with AEC Daily qualify to receive a 15% discount on BSD products (new customers only). Click here for details.